Four of our members raced the Magnificent 7 cycle race on 11th March, as part of the Sheffield Outdoor City Weekend. 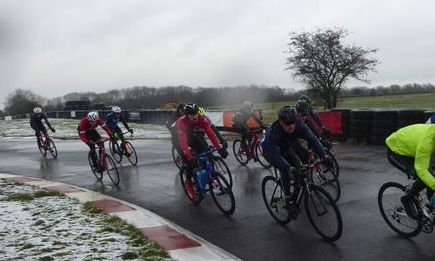 The event comprised of 130 competitors racing up seven steep Sheffield hills and riding leisurely between them. Highlights included Hagg Hill / Stephen Hill with its maximum gradient of 25%, average of 13% and 910m length; the cobbles on Fern Road / Thrush Street at 10% average gradient and the final climb of Cote de Bradfield 9% 644m. Abbie finished 4th in the Ladies race and Darren H finished 7th in the Senior men's race. WELL DONE to both on fantastic finishing positions. Also in the Senior race, Dan finished mid-way up the results tables on all the hills and Darren Miller held his own, especially considering an injury a couple of weeks beforehand at the Tom Simpson memorial ride. Sunday 1st October saw two of our club members competing in the most popular hill climb in the country at Monsal Head. Despite the weather conditions not being favourable both Ryan and Abbie put in fantastic performances on the day. Ryan finished as 11th schoolboy and Abbie finished just off the podium as 4th female. 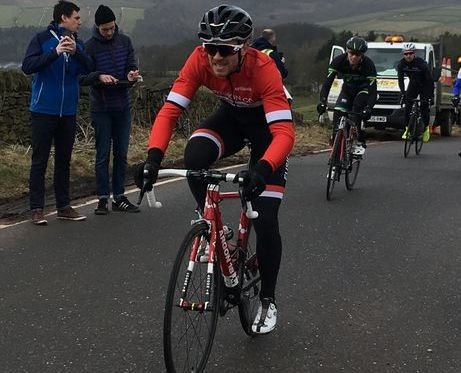 Darren Hull competing in the Sheffrec organised Bradfield Hill Climb. 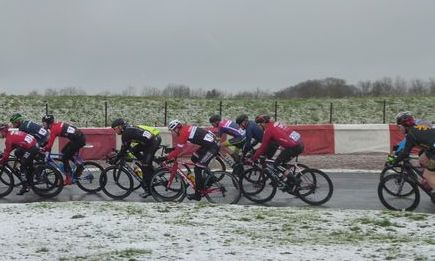 With poor weather from the start of the day on Good Friday, Richard found this event "brutal" in every sense of the word. With strong cross winds for 7 miles of the 11 mile lap, and descents with tractor crossings this made for a very tricky event. 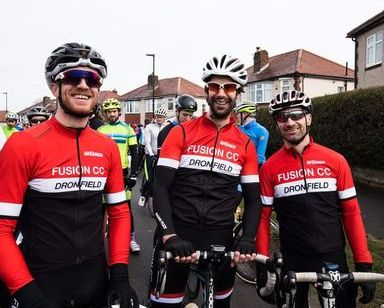 Not many positives to take from the event as his time was over 4 minutes slower than 2016 although finding out that his lap times were equal to Olympic Gold medalist Dame Sarah Storey gave him a cheeky grin. (and she only had to do two laps). Looking forward to riding in 2018 when he will only need to complete two laps as he will be a vet!